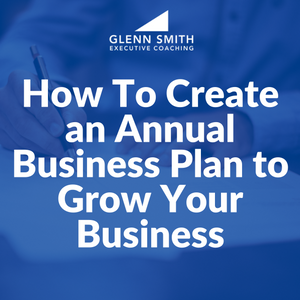 In this post I want to give you a simple outline to follow as you create your business plan for the coming year. Before you jump in you need to do some preparation. To summarize what I’ve already written about in the past, review your financials, analyze your strengths & weaknesses, and then brainstorm on what you might want to accomplish in the coming year. Give yourself a little time to think about this and prepare yourself mentally for the task at hand. Let’s take a look at each of these 3 parts. Ideal Customer Who is your ideal customer? Start by thinking about your best customers now. As you picture your ideal customer in your mind, write 3-5 bullet points that would describe them. Keep it simple but be focused! Unique Selling Proposition (U.S.P.) A good U.S.P. should be a concise, straight-forward statement about the value you bring and what makes you distinct from your competitors. It should also be interesting, so that when you share it at a networking event people stop and ask you to tell them more. Marketing Message This is a body of content that speaks to your reputation, your experience, your training (including certifications & associations), your system, and your guarantee. You will use this content (either in part or in whole) on all of your marketing materials. Take some time on this since it will change very little (if any) from year to year. Marketing Mediums There are hundreds of ways to market your business; from traditional advertising, to referral marketing, to digital marketing, to press releases, to social media, and so on. You need to identify the 5-10 most effective lead generating strategies that work in your business. These will be your marketing mediums. Marketing Budget Once you identify the mediums you want to use to market your business, create a budget. How much will each activity cost? How often will you do it? Create a marketing budget for the year. Marketing Calendar This may be the single most critical component of your marketing plan. Create a calendar of what marketing activities you will do each month. This will help you know how much money you will spend each month on marketing and it will help you be consistent with your marketing activity. Marketing Dashboard It is critical that you track and measure everything. Use a spreadsheet and measure the results from every marketing activity. By doing this you will know your conversion rates and your closing ratios. And you will know what marketing activities work best for your business. Start by looking over the past year and analyzing your income. Where did it come from? When did it come in? Based on your marketing activity and your sense of the economy, what do you project to bring in next year? Making income projections is simply making your best guess, using the best information you have at hand. Project your income by month. Then analyze where you spent money this past year. Where they all good expenditures? What do you need to spend more or less on in the coming year? Based on your marketing plan and your history, create a budget by month for the coming year. If you will do this by month with your income and expenses, you will get a good picture of your cash flow throughout the year. Now you have a budget that you can measure each month’s performance to. Once you do this the first year it will become much easier and much more reliable year after year. Once you have brainstormed each of these areas, set yourself some goals. If possible, let your team help set these goals and then (if possible) assign a champion to each goal. Review these monthly as a team and track your progress! Keep this process simple and efficient. After you do this the first time you will discover that it is an easy and effective process to repeat year after year. The result will be a growing and continuously improving business. As a business coach I enjoy helping my clients create annual growth plans. If you need help, please contact me and we can set up a strategy session at no obligation to you. I’m here to serve you. 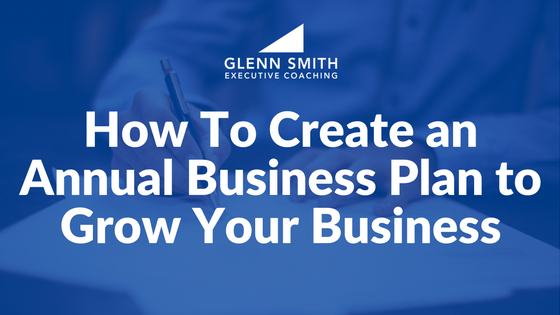 You need an annual business plan in order to consistently grow your business. Here is a simple yet powerful process that every business owner can follow. Oh you covered many angles in this article. Especially the financial one. This blog post is not the usual hot air stuff. It’s clear you have put some good thinking into this. I don’t have time to do loads and loads of research and so I appreciate unique thinking and insightful analysis. Maybe you should be a consultant…if you aren’t already.